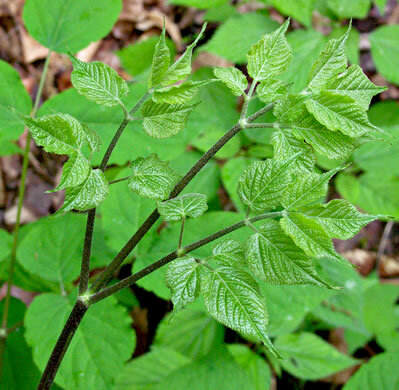 Leaflets large and heart-shaped at the base, per Newcomb's Wildflower Guide. 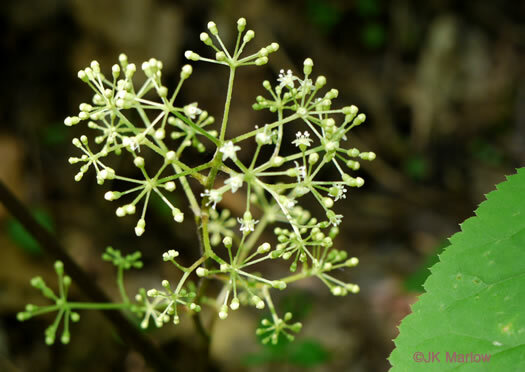 Greenish-white flowers in a long branching cluster of umbels, per Newcomb's Wildflower Guide. 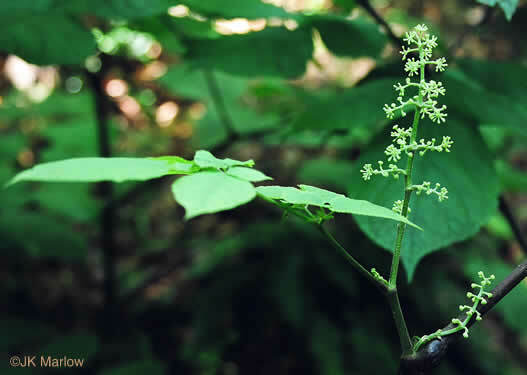 Sepals ca. 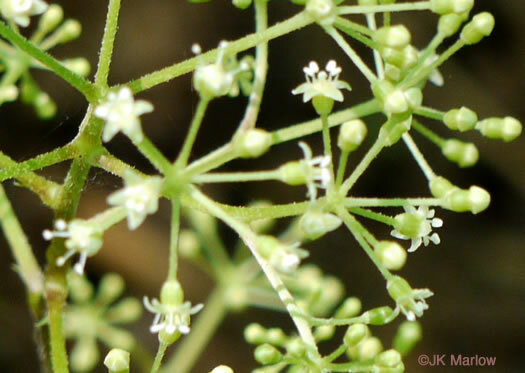 0.3mm long; petals white ca. 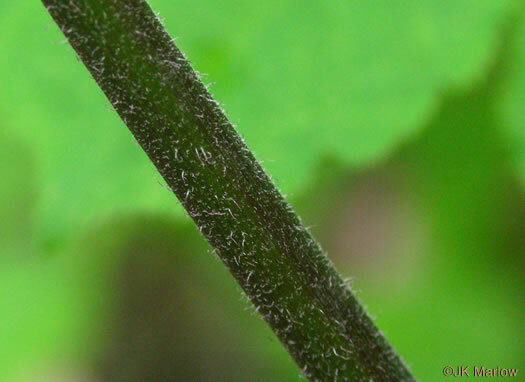 1mm long, per Vascular Flora of the Carolinas. 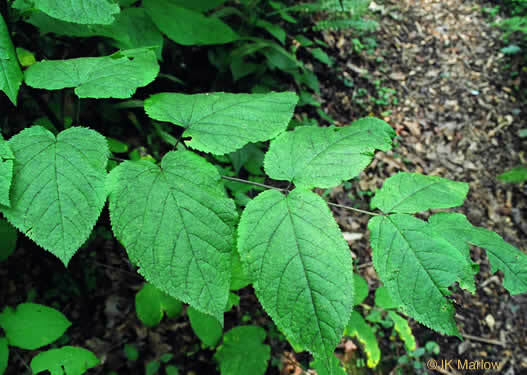 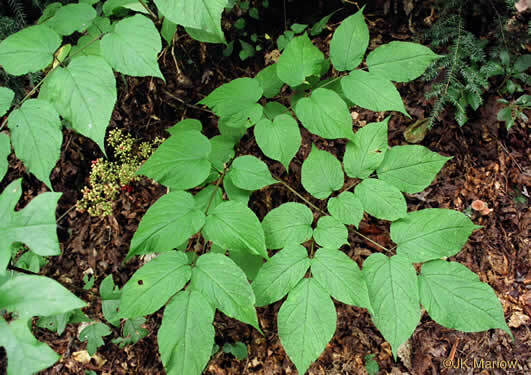 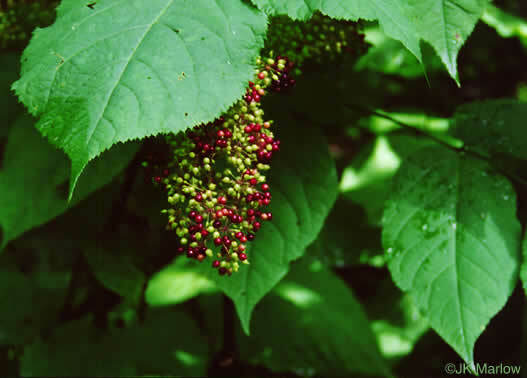 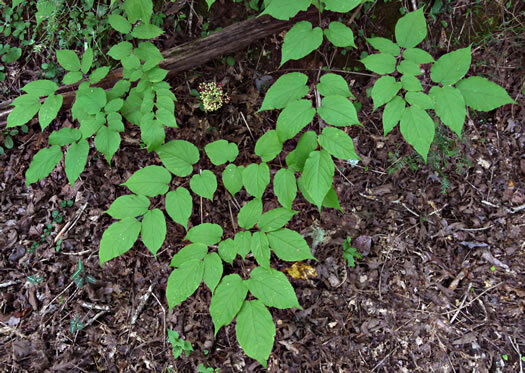 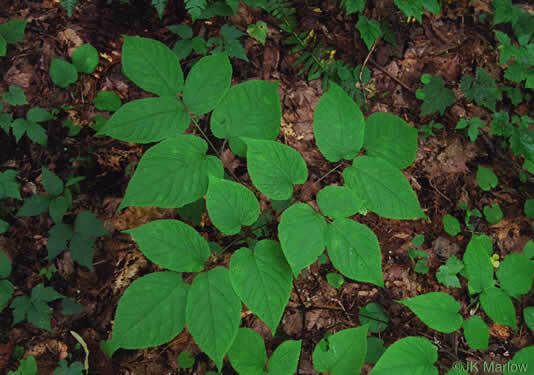 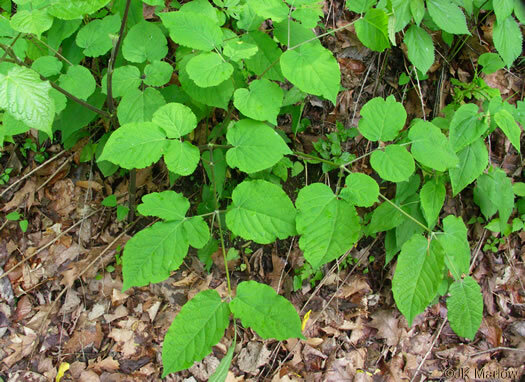 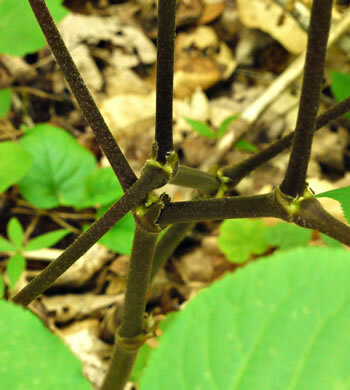 Leaves pinnately compound or ternately and pinnately decompound, per Vascular Flora of the Carolinas. 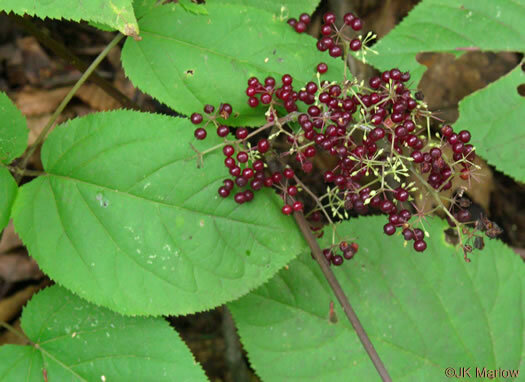 Fruits are dark purple drupes, about 0.2" across, per Wildflowers of Tennessee, the Ohio Valley, and the Southern Appalachians.